The INFP does not want just any job or career. INFPs want to do something they love, something they are passionate about. They want to use their creative gifts and abilities in ways that bring personal fulfillment and contribute to the greater good. The quest for a suitable career choice cannot be divorced from INFPs’ search for identity. 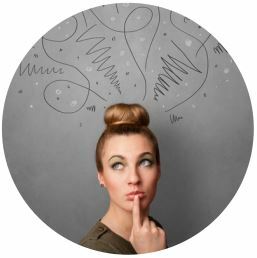 Before settling on a career path, INFPs want to know who they are and where they fit into the fabric of the working world. They want a career that capitalizes on their unique abilities, coincides with their values, and ignites their drives and passions. Because most jobs fail to consistently inspire them, INFPs often end up feeling restless and dissatisfied. Even those with a college degree may struggle to find long-term career satisfaction. INFPs’ values are highly personal and individualistic. Like ISFPs, their reliance on Introverted Feeling (Fi) can make it difficult for them to work in organizations whose values diverge markedly from their own.While INFPs may have a slight edge over INTP career-seekers in finding satisfaction within traditional career paths, both types are interested in pursuing their own interests wherever they lead. If their interests happen to coincide with the features of an existing career path, INFPs should consider themselves fortunate. If not, they are faced with the tall task of pursuing their interests on a largely independent basis. This may lead some INFPs to assume the role of “starving artist” or entrepreneur. INFP college students may experience similar difficulties in identifying a major which fits their skills, interests, and abilities. Part of this stems from the shifting nature of INFPs’ interests. Like ENFP career-seekers, they can grow restless and impatient when performing the same job or studying the same subject extensively. Fortunately, as Introverts, INFPs can gradually narrow their interests once they feel they have sufficiently explored all their options. The problem is this can take quite a few years, even well into their thirties, for their niche interest to emerge with sufficient clarity. Hence, selecting the “right” college major right out of high school can be a dubious enterprise for INFPs. INFPs may feel stunted by any number of perceived barriers. Like INFJ career-seekers, they may be afraid of taking risks. Or, they may feel they don’t know themselves or their skills and interests well enough. Some may look at their track record of unfinished projects and wonder if they will ever find what they are seeking. It is important for INFPs to recognize that this is all very normal. The fact is that they need to experiment and experience life in order to find themselves. All of their experiences and lessons learned can be internalized and integrated as part of their career development. To orient our discussion of INFP career interests, we will now draw on six interest themes described by John Holland and the Strong Interest Inventory. The Holland career interest themes include the Realistic (R), Investigative (I), Artistic (A), Social (S), Enterprising (E), and Conventional (C) domains, or “RIASEC” for short. After identifying one’s preferred interest domains, these letters can be combined in a way similar to the personality types to form a multi-letter “Holland Career Code” (e.g., IAS, RAI). This can help individuals identify their best career match. This can help individuals identify their best career choice. Those with Realistic interests enjoy physical, hands-on work. They are often visual or kinesthetic learners who may prefer working with “things” more than people. It is therefore unsurprising that this interest domain is correlated with a preference for Myers-Briggs Thinking over Feeling. Research suggests that S, T, and P types are somewhat more drawn to Realistic work than are N, F, and J types. However, as P-types, INFPs are more inclined toward Realistic work than say INFJs are. INFPs love being outdoors and immersing themselves in nature. INFPs may also take up Artistic and/or Investigative work that involves a Realistic element. They may, for instance, pursue careers in forestry, environmental science, veterinary medicine, or landscape architecture. The Investigative domain incorporates analytic, scientific, and academic interests. Investigative types enjoy working with ideas, theories, facts, or data. As with the Realistic domain, Thinkers outnumber Feelers when it comes to Investigative interests. Those interested in investigating “things” will generally have a Holland code of IR (Investigative-Realistic). They may study mathematics, the physical sciences, technology, engineering, computer science, etc. As we will soon discuss, INFPs may find themselves drawn to these Thinking-oriented careers because of their inferior Te function. INFPs with Investigative-Social interests often study the social sciences (history, economics, psychology, sociology, geography, anthropology, archeology, political science, etc.). Those with IA interests are also intrigued by psychological or sociocultural issues and may study the liberal arts, theology, law, or take up non-fiction writing. The Artistic domain strongly correlates with a preference for N, as well as, to a somewhat lesser extent, F and P. It captures those with unconventional and creative interests, including actors, painters, dancers, poets, sculptors, writers, designers, and the like. Unsurprisingly, Artistic types are highly represented among students studying the arts and humanities. Those interested in library science also score highly in this interest area. Research suggests that INFPs prefer and feel most confident in Artistic occupations, careers that allow them to directly utilize their Fi-Ne combination in creative and meaningful ways. Those interested in the arts may be drawn to music, theater/drama, visual arts, healing arts, graphic design, interior design, and the like. 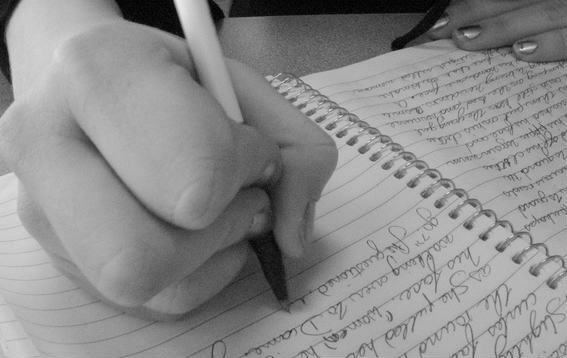 Others may opt to study creative writing, poetry, or literature, perhaps even at the graduate level. INFPs can make excellent poets and creative writers. Those in the Social interest domain enjoy working with people. Social interests are common among teachers, healthcare workers, clergy, trainers, and caretakers, to name a few. The Social domain relates to preferences for Extraversion and Feeling. INFP Socials often gravitate toward healthcare, ministry, counseling, or psychology. Since they tend to be more perceptive than directive, INFPs are generally more at home with one-to-one interaction than teaching large groups. If they do opt to teach, they usually prefer the role of facilitator to that of the lecturer. Because teaching requires a hefty amount of extraverted Judging, INFPs may find it an exhausting affair. INFPs possessing both Social and Realistic interests, may choose to study nursing (SRI), physical (SIR) or occupational (SIR) therapy, or holistic health careers such as massage (RAS), yoga (RAS), acupuncture (RAS), etc. While these can all be decent career matches, some INFP Socials may find them too concrete or practical (i.e., too “Realistic”), lacking the abstract and creative elements they crave. Such individuals may be better suited for mental health careers such as psychology (SIA), counseling (SAI), or psychiatry (IASR). Social INFPs, like ENFPs, may also be drawn to various types of humanitarian or non-profit work. They often enjoy venues such as the Peace Corps, which furnish them with opportunities to travel and work toward causes they care about; they may even “find themselves” in the process. INFPs also gravitate toward organizations focused on social justice, environmental protection, animal rights, etc. The Enterprising domain entails the promotion of products, ideas, or services. Such individuals tend to be persuasive, assertive, and enjoy competitive environments. Typical Enterprising careers include sales and marketing, business and management, law, politics, journalism, insurance, and stock trading. Enterprising individuals often prefer Extraversion. Though INFPs often avoid many of these careers, some may exhibit some degree of “Enterprising” interests. If endowed with sufficient ambition and follow-through, these types can do well with entrepreneurial endeavors. Entrepreneurship grants them the autonomy and freedom they desperately desire, unfettered by the strictures of organizational life. For INFPs who opt to start their own business, many will select the non-profit route. Others will use entrepreneurship as a means of marketing their artistic creations or their services in the healing arts. Individuals with Conventional interests enjoy administrative work. They do well with manipulating data and are organized and detail-oriented. Those in this domain often prefer Sensing, Thinking, and/or Judging. While some INFPs can perform Conventional work competently, such careers lack the variety and opportunities for creativity that INFPs need to feel satisfied in the workplace. Careers in this domain are typically avoided by INFPs. As is true for other types, the role of the inferior function is often overlooked in INFPs’ career pursuits. While one might expect INFPs to pursue characteristically feeling (F)-oriented careers (e.g., working with people, the arts, non-profit work, etc. ), many INFPs, because of their inferior function, Extraverted Thinking (Te), are drawn to thinking (T)-oriented careers such as science, mathematics, computers, law, engineering, economics, etc. INFP careers seekers often experience an inner struggle between their conscious versus less conscious functions. While their top two functions, Fi and Ne, are clearly more “right-brained” (i.e., concerned with empathy, the arts and humanities, etc. ), their less conscious functions (Te and Si) beckon them to pursue left-brained enterprises involving facts, data, and rational systems or procedures. So which route should INFPs take? Are they better off following their strengths (Fi-Ne), or should they pursue a path that allows them to explore and develop their weaker functions (Si-Te)? While selecting the former might seem the obvious choice, the mystique and allure of their inferior T function can be difficult to ignore. Te can be strong motivator for INFPs. Even if it isn’t their greatest strength, it may comprise their greatest interest. INFPs who choose to pursue T careers often encounter a couple of difficulties. First, T careers can place heavy demands on their inferior function. While such demands may be welcomed in small amounts, too many demands can prove overly stressful and ultimately exhausting for INFPs. Second, INFPs may find that they miss the Fi or Ne element in certain T careers. They may, for instance, find themselves longing for work where they can help people more directly (Fi) or where they can enjoy more creative freedom (Fi-Ne). Hence, what INFPs are ultimately seeking is the optimum balance among their F, N, and T functions. Many INFPs find this balance in the arts. Music and song writing / production, for instance, can effectively integrate Fi feeling, Ne creativity, and Te technical knowledge. Writing, be it fiction or non-fiction, is another effective way for INFPs to achieve this integration. Teaching or healthcare careers, such as occupational therapy, can also be fairly integrative, but may require too much extraversion or limit INFPs’ creative autonomy. INFPs who have yet to develop their auxiliary Ne may focus more on simply balancing their Fi and Te, which seems to be the case for INFPs taking up work as managers. The same goes for INFPs who opt to study medicine, which combines their interest in helping others (Fi) with their interests in T knowledge. Unfortunately, mainstream medicine, because of its heavy time demands and non-holistic approach, often proves unsatisfying for INFPs. As is true for other NP types, some INPs may need to accept the possibility that there may not be an ideal pre-existing career path or college major for them. Their interests may simply be too idiosyncratic to fit squarely into any predefined mold. This realization may lead some INFPs to settle for working a “day job” while simultaneously pursuing their true passion on the side. They hope that, over time, their passion will become sufficiently profitable for them to pursue it full time. INFPs who are sufficiently shrewd and ambitious may find entrepreneurship a viable career option. Entrepreneurial INFPs may try their hand with a variety of different art forms or business ideas: graphic and web design, freelance writing or journalism, photography, blogging, music, self-publishing, etc. Indeed, several of our INFP blog contributors have reported good success and career satisfaction as web-based artists or freelancers. Most people never look at other options; they have to pay bills and eat so they don’t have the luxury of exploring their creative side and we are not brought up to believe that work should be fulfilling and useful.I think what we’re starting to see is an economy in which adaptability,synthesis and creativity are some of the qualities which give people the greatest chance of not only living a more meaningful life but also being financially rewarding. You could argue that we don’t have the luxury to ignore our creative side any longer. I am completely relieved after reading this. I took two personality tests today to try to determine what type of job/career path i should be pursuing. I have lived the first 50 years of my life feeling as if there is something wrong with me. I was never satisfied in my work (admin assistant, waitress, bookkeeper, retail assistant manager) and felt like a failure because i hadn’t pursued what I loved – the arts. When I was 45, a woman whom I had met (who walked out of her job selling insurance to bravely open her angel therapy office and publishing company) asked me if I would be interested in contributing to a non-fiction book she wanted to publish. I did and was told by many people, including her, that I should be writing full-time. My spouse at the time, like my father, told me I needed to forget about that because it was a pipe-dream and I needed a conventional job in order to make money. He was very condescending as well. He is no longer my husband. Since then, I have been co-authoring and writing a new book, but neither have been completed because life gets in the way. I moved to a new country where I knew no-one,and it was the greatest decision I ever made. I followed my heart and am living a life of pauper, but in a beautiful part of the world. Thank you for posting this article. It has spurred me on to pursue my work. @Cristíona That is so awesome to hear. As an INFP, I am also at a cross roads so to speak, having left my partner when I realized that things were just not right. Now I am able to output creatively, I am able to write poems, create music. I take long drives into the middle of nowhere and just gaze at the stars to get inspiration. I feel like I can make a change now, my unfinished works are nearing completion. Good luck to you and hope you have a meaningful and long-lasting stay in your new country! I think it is always the right move to follow what your are interested in, despite what people think. They aren’t in your head so really how can they know what makes you tick or what is best for you. I applaud anyone who follows their heart. I have had many “counselors” from companies that I was downsized from tell me that because I was an INFP that I wouldn’t do well anywhere. Geez, thanks, NOT!!! I had a life coach that told me that she wasn’t successful working with INFP’s, of course that was AFTER she told me she could help and took my $$$. I do think it is funny that many INFP’s end up in insurance because if you have a psychology degree but didn’t pursue a Master’s than it really doesn’t allow much opportunity using that degree in the field. wow! that sounds like something i dream of doing! i am 54 now and my teens will be out of the house soon. Thanks for the inspiration and validation. I have just done a few tests and believe i am an INFP type. I am creatively minded and live by my emotions. I have worked most of my life as a Barista, jumping from cafe to cafe as I get bored of seeing the same faces day after day, often day dreaming about travelling the world. I have tried to study Primary School teaching at age 18, then attempted Communications majoring in Journalism at 21. I then gave up the idea of study and went back to making coffee until 18months ago, when I began studying to become a Paramedic. With all the hours making coffee, I had plenty of time to think, I know I want to make a difference in the world and help others. Hence the Feeling component of my personality type. However I have recently pull out of my course, as with most Emergency care organisations, they are extremely regimented; and they need to be. But I don’t think I am suited to this role.I also have come to dislike pharmaceutical drugs as they all have side effects and lean towards a more holistic approach to health. The field is also rather depressing, which is also unsuitable to my personality. I am back at square one. I am considering a few different career paths now. Dermal Therapist, as I have suffered acne scarring and know how hard it is to deal with, and believe I would find it rewarding to heal other peoples skin. Interior Designer, I have always been draw to spaces and how I could make them beautiful and more functional. Nutritional/ Holistic Medicine, as I have struggled with anxiety and depression and believe diet plays an enormous role in our mood. Hopefully I can utilise the myers briggs personality type to find my purpose in the world. I am getting tired! I’be been having this conundrum too! Lol. Reading your story makes me laugh because it’s like I’m reading my own with some minor changes. I have been considering interior design as well. I think it might be easier to get into without the rigor of a college degree. ? Good luck! How about transfer over to Music Therapy? There is a wonderful documentary called Alive Inside and maybe that could be of some inspiration to you. I am majoring in Speech Language Pathology but will hopefully be attending graduate school to become a (Vocational) Rehabilitation Counselor and pursuing my musical and writing passions on the side. You might prefer teaching music at a private school. My husband teaches (physics) at a boarding school, but has also taught at a day school. The kids that take music classes or lessons or are involved in the school musical, etc. tend to be pretty dedicated. I’m the INFP, and career-wise am lost. Started as a scientist, went back to grad school for architecture. Five years later and I am thinking an online store might be the way to go. What can one say to a young son asking what his carrer should be? When I am 62 and still don’t know what to do with my life! You present info to your child, and give them opportunities to see what “fits”. You encourage your child to try on stuff while they are young and unemcumbered. You have them test on what their individual strengths are and build on those strengths. If there is any type of volunteer stuff available you get them involved in that or an internship. Stuff on paper looks WAY different than the actual day in and out grind. So as a parent you help them discover and build on what defines them. Had I had that encouragement in my youth I wouldn’t have floundered so much. I was just told over and over you will figure it out, that didn’t HELP me much. I loved being a college recruiter (it was a private college so quotas were huge and I hated that aspect of the job) But I tried my best to unearth potential and steer my applicants to finding their dreams. Colleges/education provides the tools, but you have to have the right ones to build a career and that is where we FAIL. Giving a musician a saw instead of a saxophone makes no sense. A mind is a terrible thing to waste, but giving them the wrong info for their giftings is just as wasteful. This has really opened my eyes! I wanted to blame the way I fealt on anything I could. I even looked into being a celiac, as I thought there had to be a reason for my lack of interest in jobs I was plowing through just to make money, and not achieving goals I set as I just wasn’t sure that was actually right for me. I’m 33 and at the point now where I feel I shouldn’t be mucking about anymore and should concentrate on a career….but what!?! Hi! 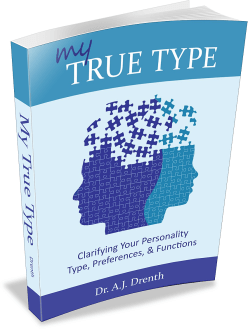 I’ve been reading and re-reading Dr. Drenth’s books for months and finally decided I’m an INFP. I’m thankful for all the stories shared here, and they will be helpful to me as I make my decisions soon; I’m a month or two away from graduation. My course is Management. I wanted to be an entrepreneur. I thought that job would be flexible, filled with opportunities, and might even benefit from my very diverse interests. I also wanted to make lots of money and alleviate the poverty in our country. Partially and secretly, I also wanted a financially stable job. My feelings towards Management are mixed. Many of the Management subjects were too stressful and exhausting for me- accounting, operations management, and finance to name a few. What sustained and inspired me was the idea of autonomy when I become an entrepreneur, and my university’s focus on social enterprises. I’m currently considering a variety of options; marketing and advertising as a digital artist, making my own social enterprise, and pursuing a master’s in sustainability and social impact. I can also just join a corporation for a few years and give my self-knowledge and interests some time to truly form. I hope my experience will help others like the others before me have, and I wish the best to my fellow INFP’s. I don’t even know how to start. I’m stunned,I’m shocked. I’ve always had a feeling I was odd,different. I have series of unfinished projects lying about in one whole room. I’ve tried my hands at DIY-ing,I write,I’m into cooking and making beautiful foods now,yet I’m still looking for that perfect job. I wanted to learn SPSS but I keep feeling I’m not going to enjoy it. I’m learning another language,French,I’ve alwats loved that. Finding out that I’m an INFP enables me to understand a lot of things. I care little for having a lot of money except I’m using it to help pple,I love beautiful clothes but rarely bother about dressing fab,I just want to wear sometjing clean and good looking and get out. I follow beautiful destinations on IG,I dream of travelling,visiting counyries,new cultures,for a while,I thought of helping pple in refugee camps. Deciding on a carrer is a really tough decision,with a B.Sc in Nutrition and Dietetics,I’m still not sure if this is it. At 22,a lot of my friends already have an idea of who they want to be and I am just here,lost and wondering where to go next and if that would work out. I’m really glad I came here and it was really great reading you guys stories,thanks for sharing. 22 is pretty young. You still have lots of time. I say, go follow your dream. Use the education and skills you have to work at a day job and save up money so you can do what you love or maybe go back to school or travel to learn what it is exactly you’d like to do. i can so damn relate to this! i’m 32yo with 3kids, separated. and now i dont know what to do with my life. i’m thinking of going back to university, but what should i major in?? this is such a dilemma. i just want to live on a mountain, surrounded by nature and a few people that matter to me. Joice, I can really relate to . I can see that you are having a crisis of sorts. I work with college students and know how stressful it is when you feel you have to know exactly what your path is. You have many interests. I was also a psychology major and graduated 20 years later with a masters degree in the education field. My two unknowns were writing and psychology. In my opinion, you should go into translation. It is something you can do independently, earn good wages, and you already have language skills that are highly desirable in our global society. You’ll be exposed to so many cultures and have adventures. You are in a perfect place to make exciting choices. The other thing I wanted to say was that you don’t have to know right now. College is the ideal time to explore, talk to people who have experience and wisdom, and you have built-in resources, hopefully, within your college. You may also want to take advantage to study abroad. It’s all about gaining experience to see what things you like and don’t like as you get further advanced. I really wish to have an impact, standing up for GMO free standards… I wish so much to be a part of the change. I’ve also tried looking into homeopathy, music therapy, musician, photographer, maybe writer. Retail, sales, not for me at all…. I absolutely hate it. I would strongly recommend reading the “Power of Now” by Eckhart Tolle. This book, and its underlying philosophy, helped me immensely. I no longer waste time wondering if there is a certain “path” for me – rather, I’ve learned to live in the present moment and let things “be”, which has allowed me to follow a path organically without constant judgement and second guessing. Mindfulness and meditation has also been invaluable. You’ll be surprised how well life starts to work for you once you break free from constant thinking and live within the present. “I love landing in a city I’ve never been to and having to find out how it works. No planning just learn as you go.” — Use this approach to your career search. Part of the problem, I think, is that you spend a lot of time ruminating about a decision – and, ultimately, you will always find a reason not to pursue a career if you spend enough time thinking about it. Don’t always believe what your mind tells you. Approach it the same way you approach moving to a new city – learn as you go! You’ll make mistakes, but that’s OK – actually, it’s the only way to live. When i took the personality test it came out with INFP and my first impression what ‘this can’t be right’. But the more I think about it the more true it feels. I work as a physicist inside an aerospace engineering company and feel pretty unmotivated by the money. I was thinking that I could just save up and retire early because the pay is good but I don’t think I can bare it much longer! So when it comes to getting the right job, I don’t have the qualifications to go into anything mentioned here and I don’t have the industry experience to get into consultant or entrepreneur physics work. Thatss thats me fucked then! This post has been so helpful for me. I am 25 and have already earned a bachelor’s degree in Psychology. I always struggled to decide what I should major in but early in college I discovered Myers Briggs and that helped me get a sense of what I may enjoy the most as an INFP. After I graduated I still had a lot of doubts about the future and have increasingly become more skeptical of Myers Briggs as a means of categorizing people. I currently work 1-on-1 with youth with Autism and can’t help but find myself living up to the nature of an INFP to this day. Lately I have been seriously considering pursuing a different degree altogether in either bioinformatics or computer science. I was thinking to myself, this isn’t very “INFP” of me to be interested in these things and maybe I am going against my nature. Yet this post even explains in a way that I’ve never heard before that the inferior Te function could cause me to feel drawn to these subject areas as well. This is all so very interesting and is a very encouraging reminder to me that there are many incredible things I can choose to pursue. I am also happier now that I’ve learned Myers Briggs goes a lot deeper than I initially thought. Greetings, I am an INFP and my career is Reiki Master / Teacher / Practitioner. Where would this fit into the scheme of things? Hello, Which category would you consider a person who does Intuitive Hands on Healing on others be in? I have a Reiki practice that I do from home. I was trained if I choose to teach it but prefer just to do the healings. Sounds like potentially an INFP career as it involves healing. While I am always happiest as a freelance writer (usually copywriter), it is not always the most stable way to live! At certain points when the work gets slow or we ran into a major recession (2008), I’ve retreated back to the full time job world, where I quickly become miserable despite my best intentions to stick to it. I’ve always blamed my somewhat negative attitude about full time, in-office work on my upbringing and thought it to be a bit of a character flaw. Now I’m starting to see that it’s just part of who I am. I am grateful to see that there are others like me – a small but warm group! My goal this year is now to dive deeper into who I am by working more diligently on my own fiction and non-fiction writing. @Cristiona… That’s incredible! You are very brave. I think I’m almost there but I am in my mid-50s but still have a high school student at home. Once he leaves, then I think I’ll feel better about starting again. I have completed my medical studies and have started working as a physician. I am almost 3 months in working and I can say it has been the worst. I am frustrated and anxious. And I cant imagine myself living like this forever. My anxiety is soo severe that I just keep quiet and I am not able to do anything else. Beacuse I was raised to become a doctor, my writing or artistic skills arent that polish. I dont know what to do now. I want to leave medicine. But what other options do I have? I want to do interior designing but at age 26, I dont think it will be acceptable to make this shift. I just want life to end. Neurotic, 26 is young (younger than me!) I say, go for it. Just do it. You’ve got decades of life ahead of you. Maybe you can channel your medical knowledge into some sort of day job or freelance work you can do while you’re in interior design school or maybe there’s an angle there–I mean, a way to combine those two ideas. Medical interior design? Interior design for medical offices? I’m just brainstorming here, so take it for what it’s worth. Out of purse fear. I wonder if we INFP types will ever make it to the top of the food chain? Or is that a dream that we should all just forget. I worked in television for about 14 years and im still not satisfied with what i do. Its not creative enough for me. Though my concern is that , there is alsways something holding me back . Ceasing me to be my 100 %. Self doubt is a scary place and I belice that we will all see ourselve at a bad place if we focus at that. It may be in our own benefit to accept that we may not launch rocket ships or comanader ships or ve in a position of power that includes the life or well being of another person. Im not selfish but it is my self doubt that we all inherently have, that will make me spin like a top to settle in some uncharted part of the game board. Steve, how about teaching on your own. I mean, starting your own music school. It may sound scary at first, but with your years of teaching and performance experience, you would have no problem finding students. The biggest challenge would be finding a place to teach. You could use an empty room in your house and turn it into a music studio or rent out a church basement or a room at a nonprofit that you could rent out cheaply. You could advertise in affluent or artsy neighborhoods in your community and find people who are the kinds of students you’re looking for–dedicated, loving music, etc. You could promote the class online–facebook, instagram, craigslist, etc., and local web sites, by hanging up flyers on bulletin boards, and by sending an email out to everyone you know letting them know when and where your class is starting and asking them to spread the word. The great thing about working for yourself is that you can try it out temporarily and if you decide you don’t like it you can quit whenever you want or just tweak the idea a bit, maybe change the types of students you’re looking for or the location where you’re having classes or the size of the classes. Some schools aren’t offering music anymore, so many parents would appreciate your offering the classes, especially when you tell them that you were disappointed by the way music was being treated like an unnecessary subject while you’re convinced of its importance. You’d be doing a great service to your community and helping others. I’m a musician myself and I believe music is a vital part of our society. I hope things work out for you. It’s funny. I was on a Facebook group for INFPs and posted a couple years ago this question. Does anyone find that they’re having trouble finding a job as a result of their INFP personality type? And no one responded. So I thought I was the only one. For me, the entrepreneurial route seems best but I haven’t figured out a way to do that. I’ve started substitute teaching, though, and have found that to be a good “day job” while I’m trying to find the best way to earn a living while remaining true to myself. John–regarding the music. What would happen if you just went to an open mic a few times then just made yourself get up there on stage and play a song? I used to be painfully shy as well and one day, I just did it. It was VERY painful. I kid you not. I had major anxiety, but I just made myself go up there. I prepared the song, of course, ahead of time, but frankly, I didn’t even play very well the first time I did it ’cause I was so nervous. But then I did it again and again, just kept going to open mics and performing. And now it’s easy. Just a suggestion. Building up that kind of confidence can help with finding jobs too.